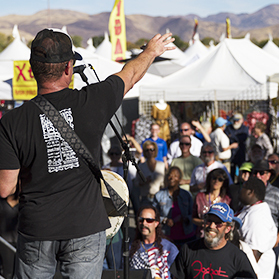 The ICS is the founding and operating organization of the World Championship Chili Cook-Off® (WCCC), held annually each fall. The winners in each category earn the coveted title of World Champion and combined prize money of $100,000! So, you want to be a World Champion? 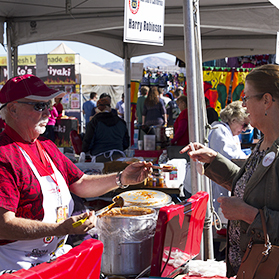 WE want to taste your chili! 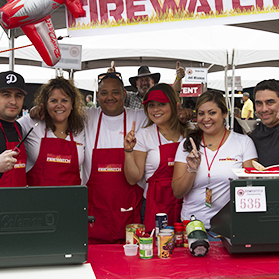 In order to qualify for this grand cooking competition, you must be an active ICS member and win one (or more) ICS sanctioned cook-offs. 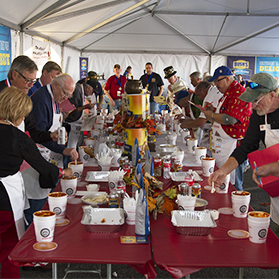 Every year hundreds of cooks compete nationwide to qualify for the ICS World Championship Chili Cook-off held each fall! 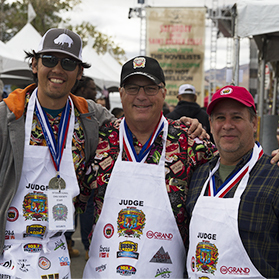 This competition not only determines the World Champion chili recipes, it’s also a giant multi-day public event! 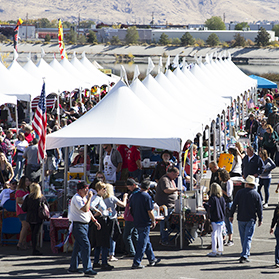 The WCCC features champion chili tasting, beer tasting, local food, restaurant competition, craft and retail vendors, corn hole, car show, kid zone, and MORE! Traditional Red Chili is any kind of meat/combination of meats cooked with red chili peppers/powders, various spices and other ingredients. Any non-meat fillers are not allowed, including beans. Preference is not given to either cut meat or ground meat. Homestyle Chili is any kind of meat/combination of meats and/or vegetables cooked with beans, chili peppers/powders, various spices and other ingredients. Beans are required. Preference is not given to either cut meat or ground meat. Seafood is considered meat. 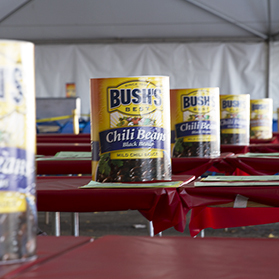 Homestyle chili may be any color, including red, green, white and yellow. Chili Verde is any kind of meat/combination of meats cooked with green chili peppers/powders, various spices and other ingredients. Beans and pasta are not allowed. Preference is not given to either cut meat or ground meat. Veggie Chili (NEW) is any kind of vegetable/combination of vegetables cooked with chili peppers/powders, various spices and other ingredients. Beans (legumes) are allowed. The use of meat and/or any meat byproduct is not allowed. The use of soy and other “meat” substitutes is allowed. Veggie Chili may be any color, including red, green, white and yellow. Youth cooks have the option to cook Traditional Red or Homestyle, based on the cook-off they sign up for. The rules above must be followed, per category. 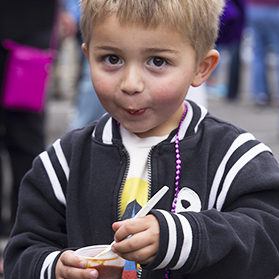 The youth cook can be 6 to 17 years of age and must prepare and cook their chili with parental supervision, but not parental participation. 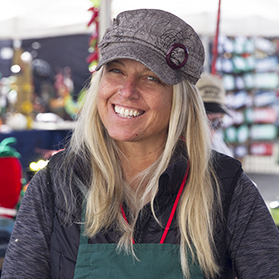 ICS will introduce new chili categories in upcoming seasons including Tailgate Chili and Campfire Chili - stay tuned!